Need a better seat for those epic gaming sessions? Then this is the competition for you. 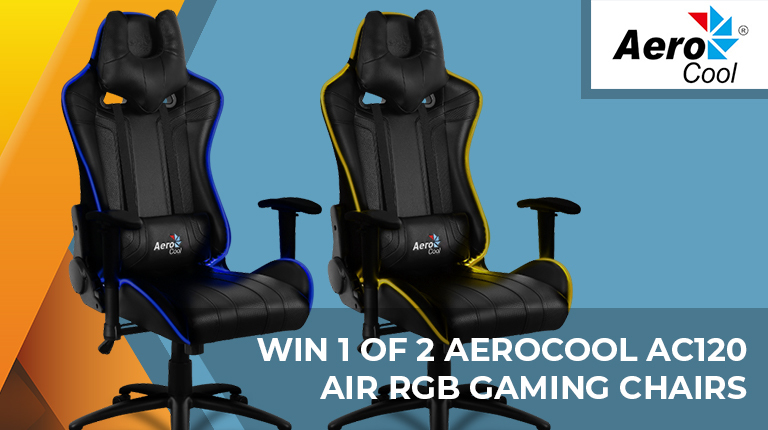 On Day 2 we have a couple of Aerocool AC120 Air RGB professional gaming chairs waiting to be won! The competition winner will be picked at random from all eligible entries that arrive by 09:00 London time on the closing date, December 18, 2018. The prize is one of two Aerocool AC120 Air RGB professional gaming chairs. Sony PlayStation 5 will deliver "fundamental changes" in gaming Xbox One S All Digital launches tomorrow, says report QOTW: What wattage is your power supply? HEXUS Week In Review: Epic competitions galore! QOTW: Who makes the best PSUs?